15 Nov Green Champions – AJC EasyCabin’s environmental core values are formally recognised. AJC EasyCabin, the Luton based manufacturer of a range of sustainable welfare units and temporary accommodation products are celebrating winning a top honour in the 2017 Green Apple Awards. 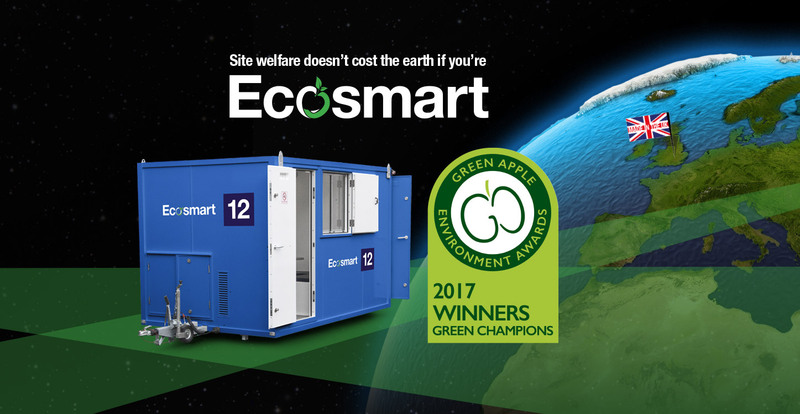 Newly crowned as a Green Champion Winner, the highest available accolade in the Green Apple Awards, AJC EasyCabin was successful against more than 500 other nominations for Environmental Best Practice in the Engineering and Manufacturing category. AJC celebrated their triumph in the company of other successful organisations including, Network Rail, Balfour Beatty, Costain, Skanska and the Kier Group. 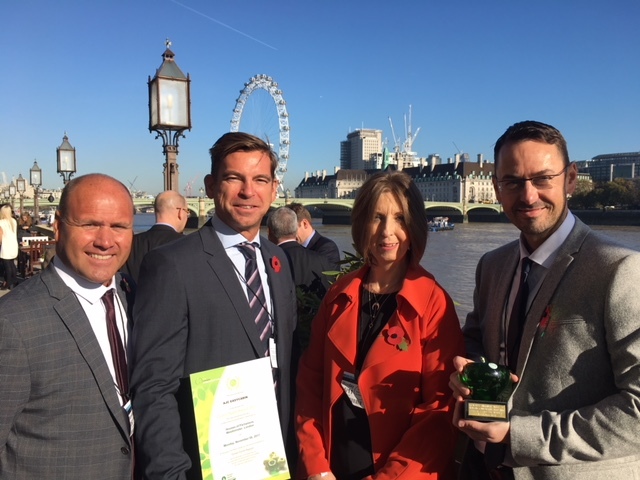 Managing Director, Jav Samsa accompanied by Sales Director, Lisa Gillett, Operations Director, Simon Fletcher and National Accounts Manager, Mark Samuel was presented with their award at a formal ceremony held in November at the Houses of Parliament. The judges were impressed with AJC EasyCabin’s innovative systems which collectively reduce carbon fuel consumption, lower emissions and utilises battery and renewable energy. AJC EasyCabin designers pledge to continue to keep environmental constructs at the centre of their procedures. 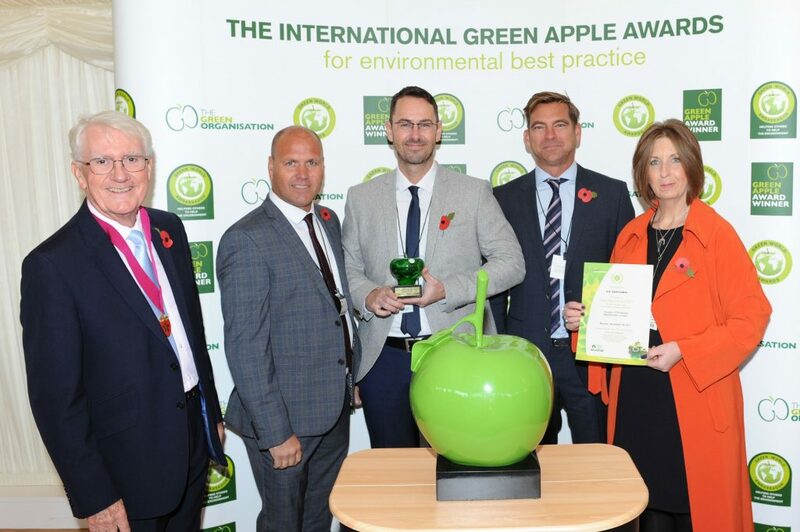 As a result of this Green Apple Award success, AJC EasyCabin have been invited to have their winning paper published in The Green Book, the leading international work of reference on environmental best practice, so that others around the world can follow their example and learn from their achievement.